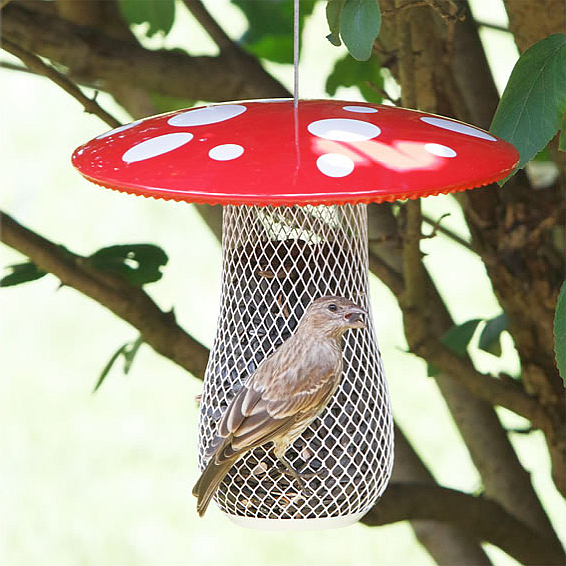 Decorate your lawn, patio or garden with this fun Mushroom Mesh bird feeder! 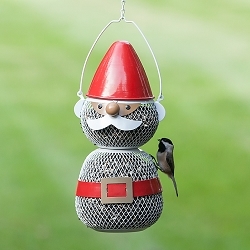 It’s a perfect complement to any backyard décor and a great fit into a personal collection or an excellent gift option. 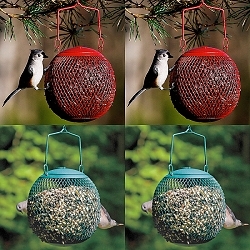 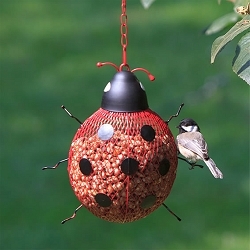 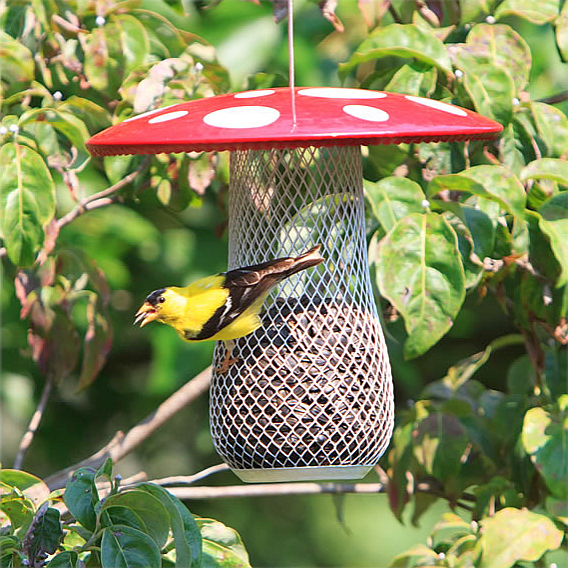 The NO/NO Mushroom Mesh Bird Feeder is best used for attracting and feeding wild birds. 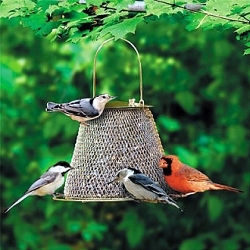 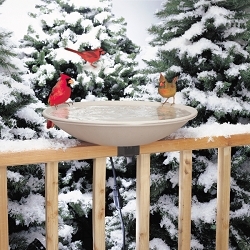 Easily fill this enchanting wild bird feeder with up to .7 lb. 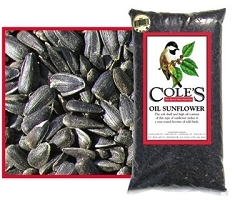 of black oil sunflower seed or peanuts, place in a quiet and convenient place and watch as a variety of birds flock to your feeder. 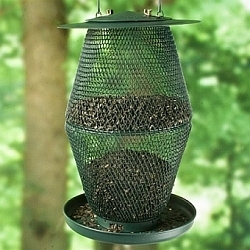 Featuring drainage holes on the bottom and a diamond mesh design, your seed will stay fresher for longer. 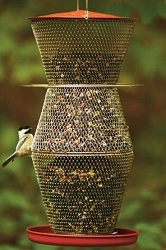 The diamond mesh feeding area attracts more birds to stop by to feed. 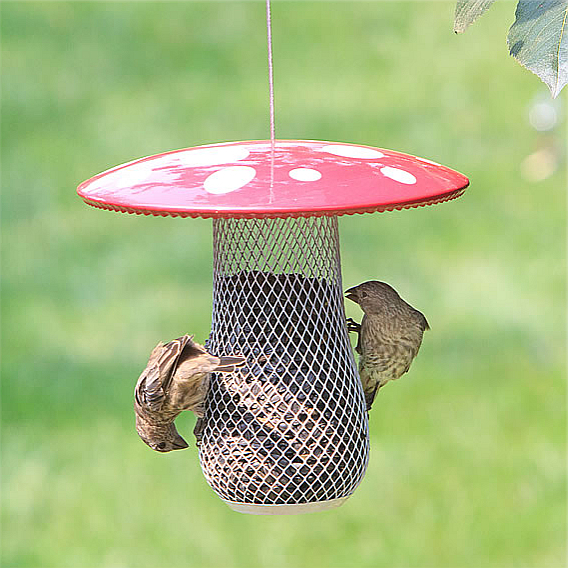 This mushroom bird feeder has a stainless steel loop hanger for sturdy hanging. 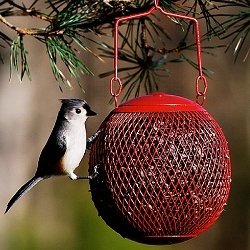 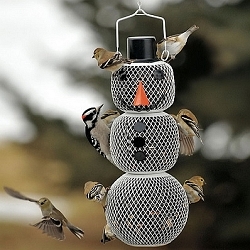 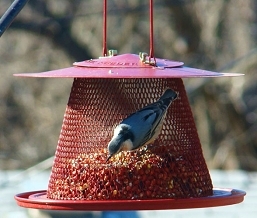 Using the NO/NO Mushroom Mesh Bird Feeder properly will help draw chickadees, kinglets, buntings, nuthatches, juncos, woodpeckers, sparrows, finches and a variety of other birds. 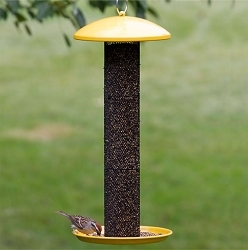 Dimensions: 8.5" x 8.5" x 15.25"